The U.S. economy added only 151,000 jobs during August, giving the timid Fed justification to delay an interest rate hike until December. This has become a recurring theme for the Fed, from last summer’s stock market meltdown due to China fears, volatility surrounding oil and the equity markets in early 2016, and Brexit leading into the summer meetings. As a result, “lower-for-longer,” is beginning to look like “lower forever” unless the Federal Open Market Committee (FOMC) shifts course and proceeds with normalizing monetary policy under less than perfect conditions. However, the dovish stance from Janet Yellen seems unwavering. There has been very limited guidance about what would trigger upward movement in the federal funds rate since the Fed abandoned its unemployment target set at the end of 2012. After the December meeting of that year, the Fed announced plans to begin moving off the “zero-bound” level when inflation reached 2.5 percent or the unemployment rate dipped below 6.5 percent. The unemployment rate reached that benchmark 28 months ago, while inflation has remained stubbornly low. The personal consumption expenditures price index (PCE), which is the Fed’s preferred measure of inflation, has remained below the Fed’s 2-percent target rate since 2012, when the target was 50 basis points higher. The FOMC switched to the PCE from the consumer price index (CPI) in 2000. 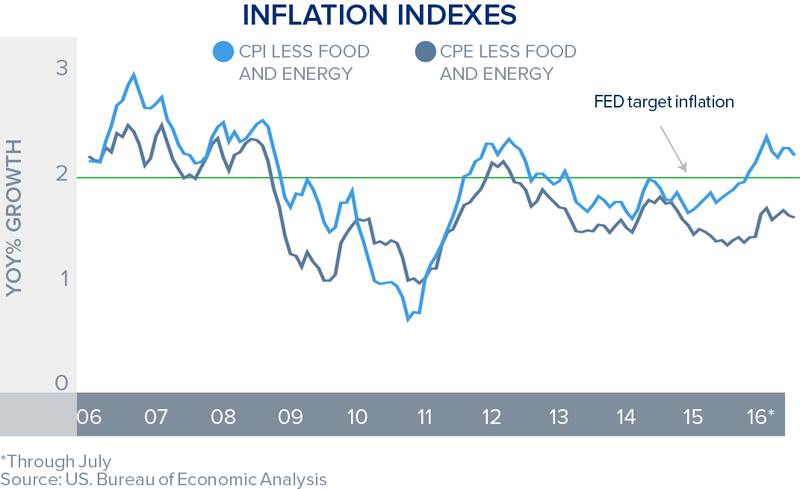 CPI, however, has been in the low-2 percent area since the end of last year, which would remove the justification for the Fed’s “crisis-level” monetary policy. The August jobs report has been the most volatile over the past several years as surveys from the Bureau of Labor Statistics go unanswered by vacationing employers. 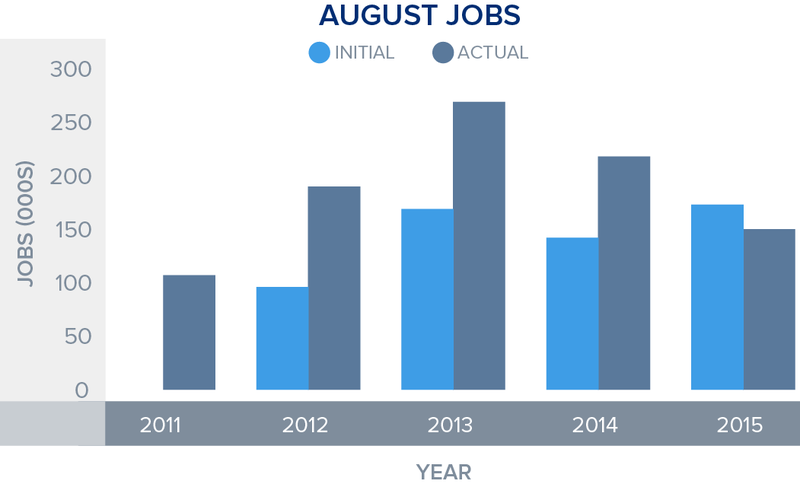 In the initial reading, August job growth has been the lowest of any of the 12 months, but upward revisions have added an average of 70,000 positions to the initial reading over the past five years. The release of the August report is generally the last major data announcement prior to the September Fed meeting, one of four meetings during the year with a scheduled press conference. A combination of the Fed’s incredibly micro perspective and the unreliable report effectively handcuffs the FOMC to act during one of the three other meetings. Low interest rates benefit borrowers, including single-family rental investors. At today’s rates, investors will be able to leverage investment assets at historically low rates. 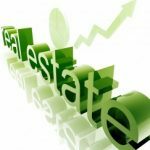 The mortgages on those properties, meanwhile, can be covered with elevated rents. Barring an unexpected move from the Fed in September, investors are anticipated expand their portfolios through the end of the year as the high prices from the summer buying season fade and the cost of capital remains in the basement.